Due to the large number of 19th and early 20th century mansions once located here, Pass Christian's Scenic Drive was heralded as "The Newport of the South." Composed of architecturally significant vacation villas set among live oaks, this National Register listed historic district had the largest and best preserved collection of noteworthy beachfront manors on the Mississippi Gulf Coast. 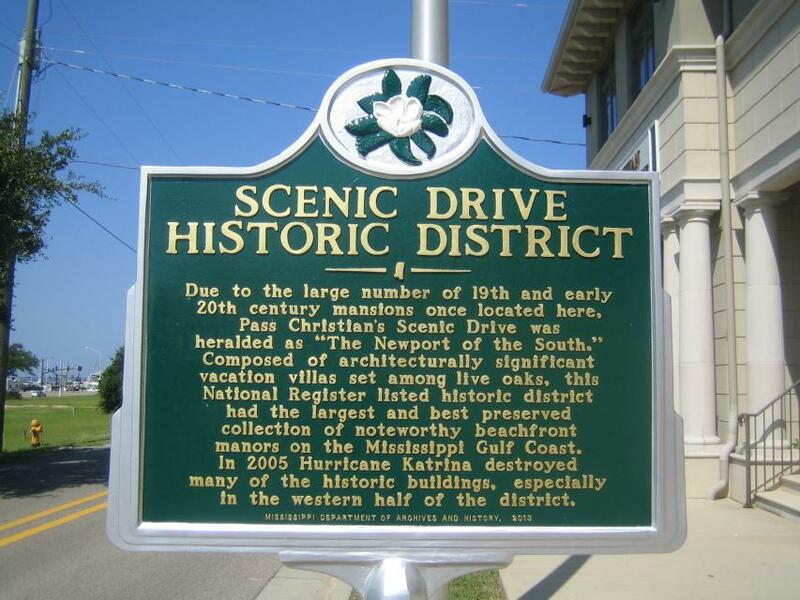 In 2005 Hurricane Katrina destroyed many of the historic buildings, especially in the western half of the district. This marker can also be identified by its HM code. You can use the hashtag #HM1JB0 in tweets, and any other place where you might refer to this marker, including when searching on this site.